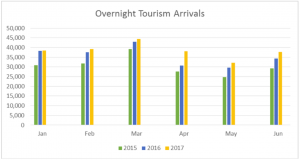 Belize City, Wednesday, 12th July 2017: Maintaining a steady and brisk growth path, overnight tourism arrivals have again registered a positive trend for the first half of this year. 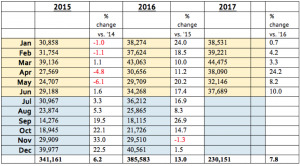 The latest statistics show that the month of April registered the highest overnight arrivals (24.2%) compared to the same month last year followed closely by June with a 10% growth. 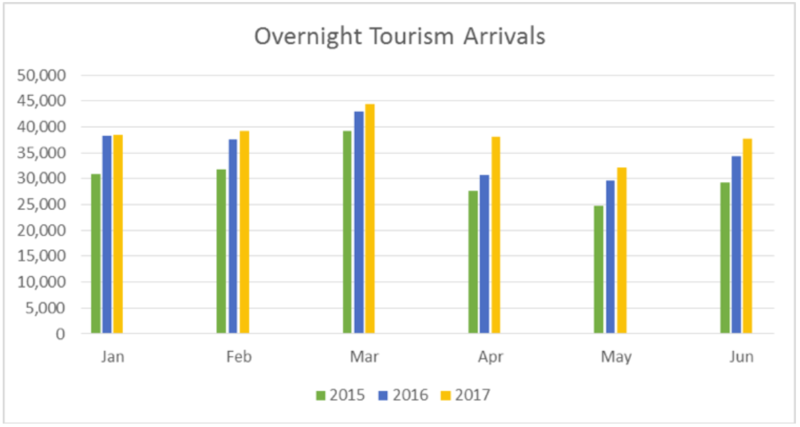 There was also an overall growth of 7.8% in tourism overnight arrivals for the second quarter of 2017. This is a clear affirmation that Belize continues to attract an increasing number of travelers as a ‘must visit’ destination. In June 2017, there were over 47,000 cruise passengers visiting Belize with a total of 13 cruise calls. The number of actual arrivals for June exceeded forecasted arrivals but did not reach the level of 2016. 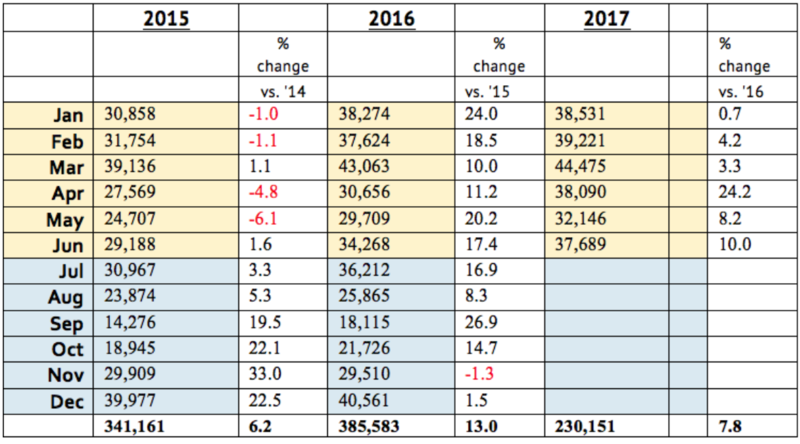 However in the first half of the year, there has been an overall increase of 3.1% in total cruise passenger arrivals. Arrivals for 2017 includes visitors from both the seaports in Belize City as well as arrivals to Harvest Caye in the south.